I took this picture at Philadelphia "UNITED STATES OF AMERICA" during my participation in the International Visitor Leadership program "NGO MANAGEMENT" through the US Embassy in Jordan. We were 27 Nationalities attending this program, each one of us working in different projects to support Vulnerable people, Refugees, and the local community in his/her country ! 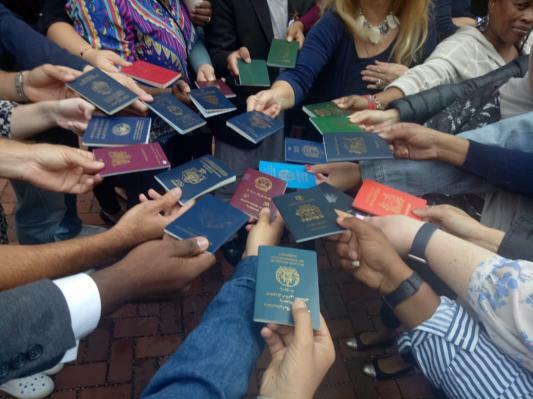 Different passports but one mission for peace and better future for all.